The part of the country I live in happens to have several antique malls and I love it! Of course, I have my favorites and frequent them a couple times a month. The difference for me as a customer in determining which mall I prefer has a lot to do with the location, types of merchandise, price, and staff working the shop. 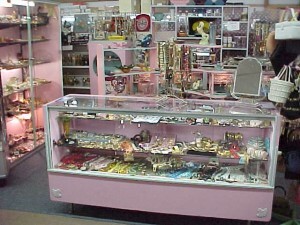 Some antique shops have nothing but rows upon rows of glass cabinets that require someone on site to unlock the display so folks can see the merchandise up close and some of these malls do a great job at having several dealers walk the floors 7 days a week with keys so customers can access these cabinets easily and other shops could care less if they assisted customers at all. Also, some dealers have their tags and pricing clearly visible and others either hide it or make it a deliberate effort on the customer’s part to ask for assistance…not great if you cannot get customer service though. Below are my top 10 tips as a customer to all you dealers and booth owners who either are not selling as much as you thought you would or need some fresh perspective to rejuvenate your spaces and items to sell more! 1. Sell What You Specialize In. Buyers want to feel secure that they are purchasing from an “expert”. They want to feel confident in their purchases and that they made a good decision purchasing from you. Dealers should be onsite on the busiest days if possible and engage in conversation with their customers and if they have items for sale that require unlocking cabinets and stalls then keep the doors open while you are in your space so customers can easily access your merchandise and talk to you about it. People want to be assured that they are purchasing quality items so anything you can tell me about the item, like its history, I really like and being the expert in your field will have impact on your sales! 2. Rotate Your Merchandise. It is VERY important to keep your offerings “fresh” giving folks a reason to visit you often to see what is new! This is a huge sore point with me as there are some malls where merchandise does not rotate often and the booths look stale. I am always looking for something “new” and if your booth has relatively higher prices but new items regularly then I will most likely buy from you and not the booth with the same old stuff and same old prices. 3. Price Your Items Reasonably From The Start. Keeping your items fairly priced will yield you sales all year long. Some booths begin with outrageously high pricing and as the days, weeks, and months go by you can actually see the price tags on the unsold items appearing with crossed out prices or new price tags stuck on top of old tags and this looks tacky. If dealers need to change prices, why don’t they use a new tag? Also, the item descriptions get harder and harder to read when crossed out prices take over the tag. Buyers like to be able to read a few sentences about what it is they are buying. 4. Hire a Merchandiser. A professional can help you display your wares in appealing and eye-catching manners so your wares can attract as many buyers as possible. The majority of booths I see look horrible and I am sorry if I am offending anyone but that is my feeling. Yes, I agree that it depends on the type of mall your space is in as some malls may actually mandate that booths look a certain way to keep a cohesiveness to the overall mall and some malls frankly are open just to collect rent from the dealers and do not give an iota about the appearance. Booths that have items strewn all over the place like on the floors and on the edges of counters are so hard to maneuver around as I am either keeping my eyes on the floor so I don’t trip over your stuff or I am so afraid to turn around in your booth and am watching that my purse does not knock down the items you have on the edges of your counters. Also, some booths place items way up high on their shelves that they are un-reachable and you either knock something off the shelf or never get near the item you were after in the first place cause it is out of reach. Either way, I am not able to look over your items for fear that I will get hurt or hurt your items. So, if someone can help you out with your displays then people will feel more comfortable in your booth as well as enter your booth and that may mean some sales for you. 5. Stock Seasonal and Holiday Items. I have been so disappointed over the last couple years for the lack of seasonal/holiday items. Last Christmas and this past Christmas I have been searching for vintage Christmas Tablecloths, spaghetti Santa’s, Pixies, Christmas Salt and Pepper Shakers, Holt Howard Christmas collectibles, Feather Trees, old German Ornaments, etc.. and could hardly find any. 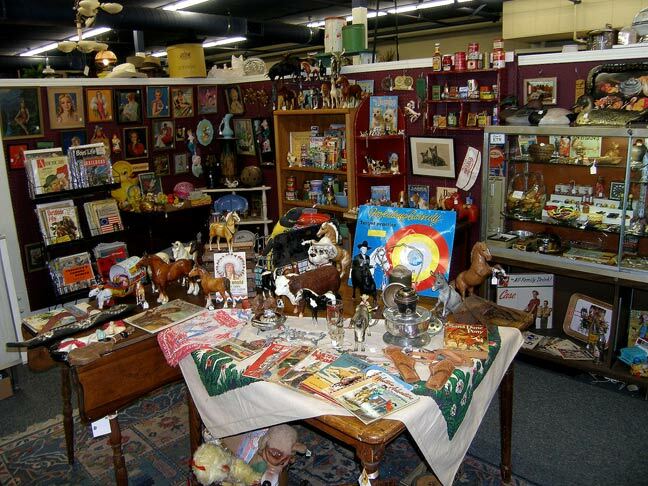 Most of the antique malls in my state just did not have the inventory the last few years and I don’t know why. As a customer, I am prepared to pay good money and meet your prices if you have what I am looking for so, when the holidays are approaching and seasonal changes are happening, stocking related items can boost your sales. 6. A Clean Booth Brings in More Customers. I am shocked at how many booths never dust or throw out the empty coffee cups that are left in them by folks wandering by. These are also the booths that appear to have stale old merchandise and many items are damaged. Why do so many dealers keep damaged merchandise in their booths? Honestly, when I see damaged merchandise I wonder what is hiding under the price tag – are their chips and dings too? So, occasional dusting, vacuuming if you have rugs, throwing out the trash and removing the damaged items will make me more inclined to enter your space and see what you have as you may actually have some really great items but you are not encouraging my entry with dirt and broken items being the first things I see. 7. Baskets & Carts. Having baskets or carts for customers to place their items into while shopping is HUGE! 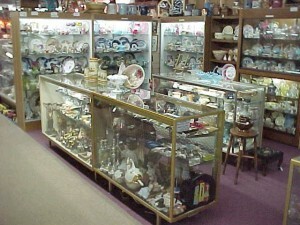 I get so frustrated when I am in a antique mall and having really good luck finding lots of goodies and my hands are full so even if I see something else I am interested in I can’t carry it so I have to get to the register which is usually way up front and pretty faraway from the booth I am standing in that by the time I get to the register I am too tired and my feet hurt to walk all the way back to where I saw something else and then I probably won’t remember which booth it was in either. So, there is literally only one mall in my area that has carts and baskets for customers and for some reason this mall seems to have no shortage of customers and the lines at the registers are long and people seem to have pretty full carts. Hmmmmm, seems to pay off when someone thinks of the customers. 8. Coffee, Tea, Water, Cookies? 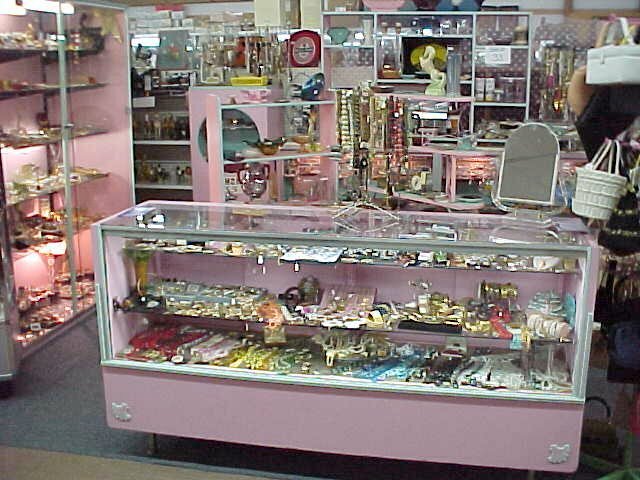 A lot of the antique malls in my area are very large with 100 to over 300 booths so, if I get hungry or thirsty while I am shopping it is going to cut my shopping down to less time spent in the shop. I don’t expect anyone to provide anything free but, why can’t some shops have a little snack shop or even vending machines? If I can get a refreshment it will re-energize me so I can focus on the task at hand – SHOPPING & Spending Money. 9. Customer Request Lists. Okay, this is something I would think is a GREAT idea as it lets the customer tell you what they are looking for so, why don’t more shops have this? One of my top malls allows customers to fill out a “request list” and the mall makes this available to their dealers who can contact the customer if they have the requested item(s) and as long as the sale takes place via the shop, it seems to work out well for the customer, dealer and the shop. 10. Instant Gratification. 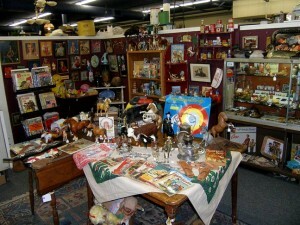 When I walk into an antique mall I REALLY want to walk out with something even if it is very small. Not everyone is in the market for a dining room table, armoire, or cookie jar so why not have a few “small” affordable goodies available like regional recipe books, necklaces, stationary, candles etc… Walking out with a purchase makes all that time I just spend walking around for 2 hours so worth it! Thank you for taking the time to read my article from a customer’s perspective. I would love to hear from you – visit my “Contact” page to send me an email.